This evening we went to a Brewers game, courtesy of Variety Club. 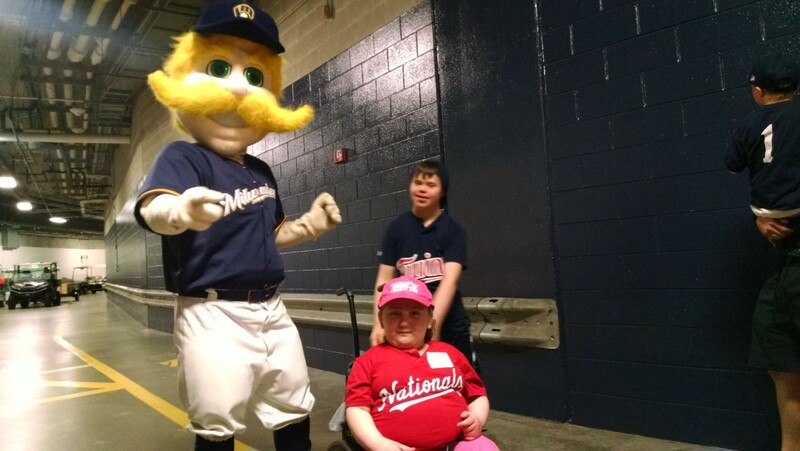 This comes not even a week after Namine got to go on a tour of Miller Stadium with the YMCA Miracle League. When we went on our tour last weekend, there was quite a lot of walking. We got to see interview rooms, the dents where home runs have crashed into media boxes, and (of course) Bernie Brewer. 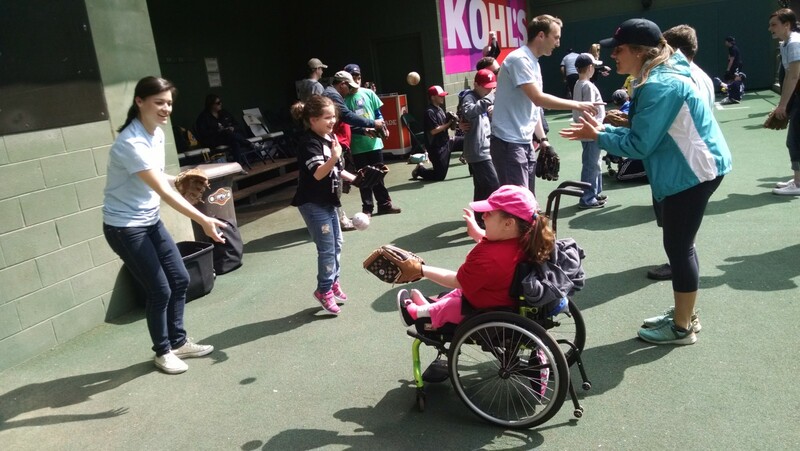 After the tour, all the kids played catch in the bullpen. YMCA volunteers handed out mitts and balls, and everyone had a great time. It was a beautiful day for it (unlike tonight at the game), so the Miller Stadium top was open to let the sun in. Tonight, for the actual Brewers game (against whom I can neither tell you, nor do I care because we don’t really follow sports at all), the weather was spectacularly wretched. It was cold, it was rainy, and, being evening, of course, it was dark. That’s okay though, because once we got inside, we warmed up pretty quickly. Because it was an evening game, we had to leave before the game ended. While we were there, though, we had a great time. 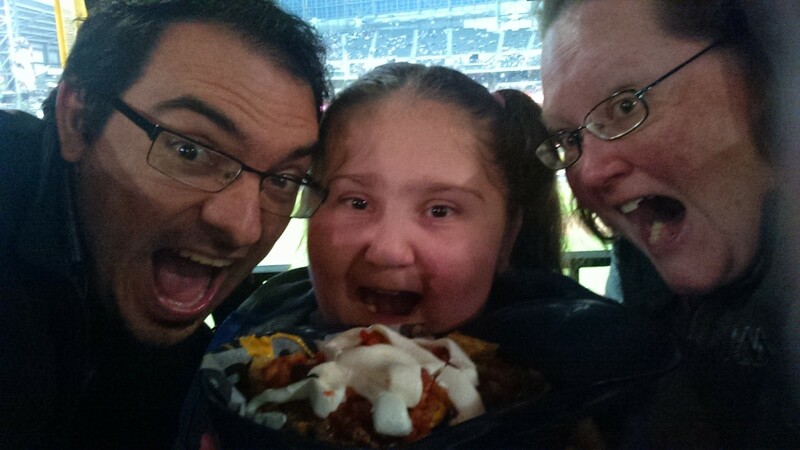 We even got a giant baseball helmet filled with nachos to share!